Rank: #1 out of 124. Edifier R1280T are a top selling option on the lower end of the price range. They're a #1 bestseller in speakers category and have dozens of popular alternatives in the same price range, such as 1byone Bluetooth Classic or Extron SM 3 . 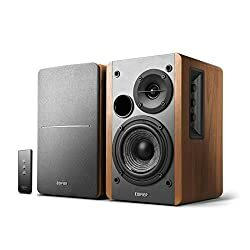 Edifier R1280T are $100 cheaper than the average speakers ($199.99).